Ali is an IFTA Winner and some Valentine Treats! I have been somewhat remiss at updating this blog in the past few weeks. I’ve been confined to my editing cave toiling away on a project and haven’t had much chance to keep things updated. The big news is of course that not only did “When Ali Came to Ireland” get nominated for an IFTA, it only went and won the thing. 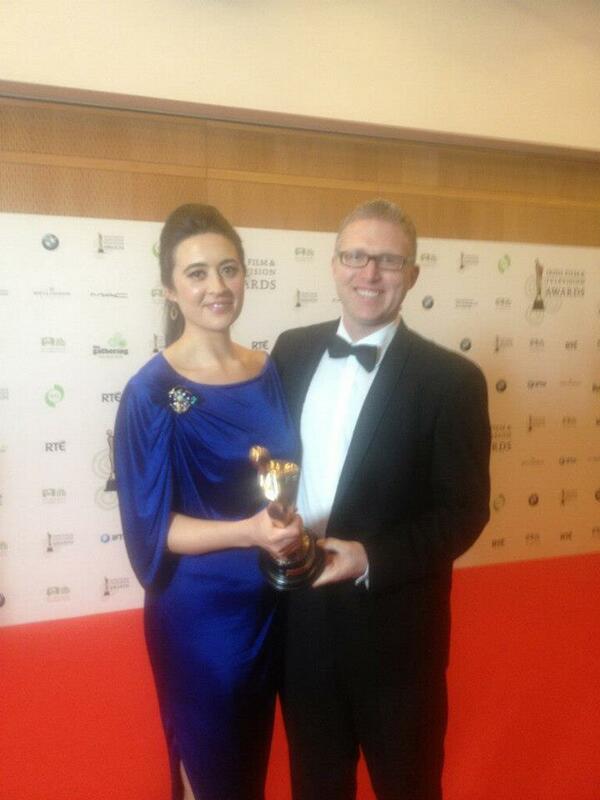 I was delighted for director Ross Whitaker and my new favourite person, producer Aideen O’Sullivan of True Films. It was fantastic to win the gong and I was delighted to have been part of the project. We all had a great time at the awards in the convention centre. It was great to see so many of the people I’ve worked with over the years and to catch up. It was also great that all of my buddies (except perennial IFTA Bridesmaid Ronan O’Donoghue, the man just can’t catch a break) that were nominated won, Mark Henry, Garret Farrell, Sean and Eamon O’Cualain and all the lads from Abu Media all picked up the statue. So a good night for all concerned and it was finally nice to be involved with a winning project as in previous years the stuff I cut that had been nominated lost out. It’s valentines day so I have to give a big shout out to Maire T. Robinson for many reasons but especially because she got shortlisted for the Doire Press award yesterday, the winner is announced next week. She’s already a winner as her shortlisted story will be published in an anthology but if she is the overall winner it’ll be published in a limited edition chapbook. Fingers crossed as its a great prize. 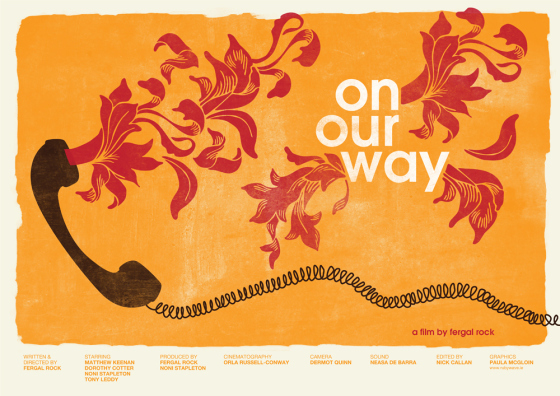 For the day thats in it, filmmaker Fergal Rock is streaming his short “On Our Way” for the next 12 hours or so on the films website here. It’s a lovely film and I was glad I was able to help out with it by doing the grade. There is a screening of the film this weekend at the sugarclub in Dublin at 2 in case you are too lazy to watch it online but active enough to go see it on the big screen.